Investigating officer PC Tom Evans: We would like to reassure people that we take offences such as this very seriously." 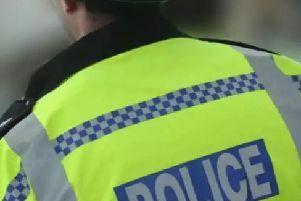 Police are appealing for witnesses after reports of a man indecently exposing himself in Woughton Park. At around 3.20pm on Monday (April 9) and Tuesday (April 10), a man exposed himself to a teenage girl near to Walton Lake. The first incident took place around five metres from the footpath. A day later, the same man was seen in the same area, and again exposed himself to the same victim. The man is described as white, between 20 and 30 years old with a broad build. He is around 5ft 9in tall with dark brown or black hair which is partly shaved. He was wearing a dark coloured body warmer with a black hood and was wearing black tracksuit bottoms. Investigating officer PC Tom Evans said: “We have conducted high visibility patrols in the area, and would like to reassure people that we take offences such as this very seriously.